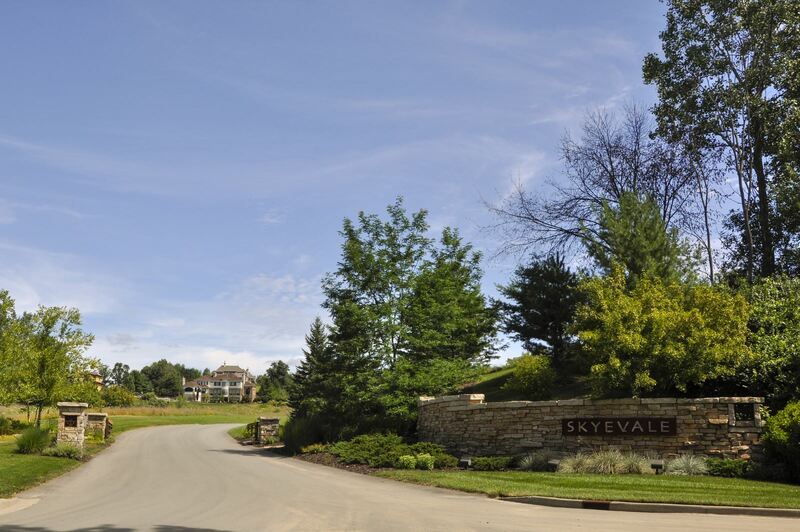 Skyevale is a gated community within the Forest Hills Public School District in Ada, Michigan. With just 19 homes, this private drive delivers privacy, while conveniently located 20 minutes from downtown Grand Rapids. Residents and guests are greeted with a picturesque pond nestled below a ridge of houses. Building styles vary, with uniquely modern designs available. Forest Hills Eastern High School is less than two miles away. Nearby is Egypt Valley Country Club and Golf Course, with its many luxurious amenities. Ada’s retail area is a ten minutes’ drive away, where you’ll find a hardware store, bakery, and many gift shops.